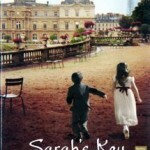 Haunting, intimate and emotional “Sarah’s Key” by Tatiana de Rosnay is a worthwhile read. What would life look like without creativity? Life without creativity would be unremarkable.